Body hormones dictate when we should be active and when we should rest. Optimal immune system functions require good sleep. Minimum hours of sleep are needed for body regeneration tasks. Besides being the primary hormone in directing the functioning of the immune system, cortisol also dictates when we should be active and when we should rest. Cortisol levels follow a 24-hour cycle, peaking as the sun rises and tapering off as the sun sets. As cortisol levels rise, we are given energy to begin our day. As cortisol levels drop, reaching their lowest point about three hours after dark, our bodies enter a period of rest and recovery, physical repair and psychic regeneration. Thousands of years ago Chinese medicine mapped the body's energy pattern, or Qi (chee), to define that Yang, or maximum energy, began rising at 6 am and decreased at 6 pm when the body entered a Yin phase, or rest and regeneration, ... see the Eastern Medicine Section. Our immune system functions optimally if we go to sleep by 10 pm. As we sleep physical repair takes place between approximately 10 pm and 2 am. Our immune system's cells patrol our body, eliminating cancer cells, bacteria, viruses and other toxins. From 2 am to 6 am, we enter a stage of psychic regeneration. During this time the brain releases chemicals that enhance our immune system. Throughout the night, we experience rapid eye movement (REM) sleep states and non - REM sleep, alternating between light sleep and deep dream states. Through this cycle we process the mental and emotional events of the previous day and refresh our minds for the day ahead.See the Evidence-Based-Studies regarding. sleeping disorders, stress and allostatic load. 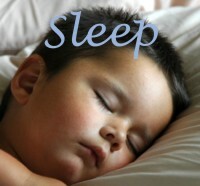 Most people need a nightly minimum of seven or eight hours of sleep. Without sufficient sleep, the immune system is hard - pressed to keep up its repair work. This creates the opportunity for disease processes to take over and overwhelm the immune system. Moreover, if cortisol is elevated at night, because you are anxious these immune functions can become compromised, which ultimately leads to illness and disease. Also refer to the Evidence-Based-Studies to see effects of light as pertaining to night-shift workers. If you are sleep-deprived what can you do about it? Vitamins and minerals such as calcium/magnesium, various herbs, and hot salt bath soaks can help induce sleepiness. You can try a self-help approach, but if sleeplessness is a persistent problem, it is important to consult a health care provider, as there are many possible causes that should be properly diagnosed. Causes could include a food intolerance, depression, blood sugar or hormone imbalances, restless leg syndrome, plus lack of exercise and excessive stress. Acupuncture and Oriental medicine can bring relief to sleeplessness. Chinese medicine refers to insomnia as a "Yin deficiency." see the (Eastern Medicine section.) By nourishing the yin deficiency, sleep can return naturally. Chinese medicine can be an effective way to address your sleep problems.